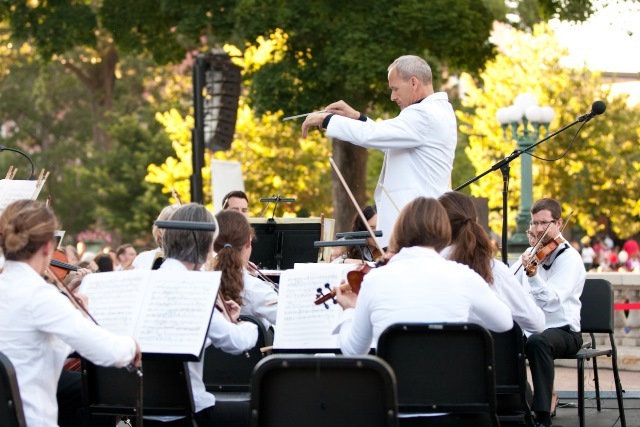 The Community Impact endowment fund, created in 1991 with a bequest from a donor, has funded Concerts on the Square, leveraged federal money for bike trails and supported MCF’s 75th Anniversary Year of Giving grants, to name just a few areas of impact. In May, the Community Foundation for the Fox Valley Region (CFFVR) received an estate gift of over $100 million–the largest gift in its history and one that will not only transform the capacity of the foundation, but more importantly, change the lives of people for generations. The gift was made by former media executive David Nelson and his wife, Rita, who passed away within six months of each other at the respective ages of 96 and 93 (adding to the pile of data that suggests those who practice generosity live longer, but that’s another story). 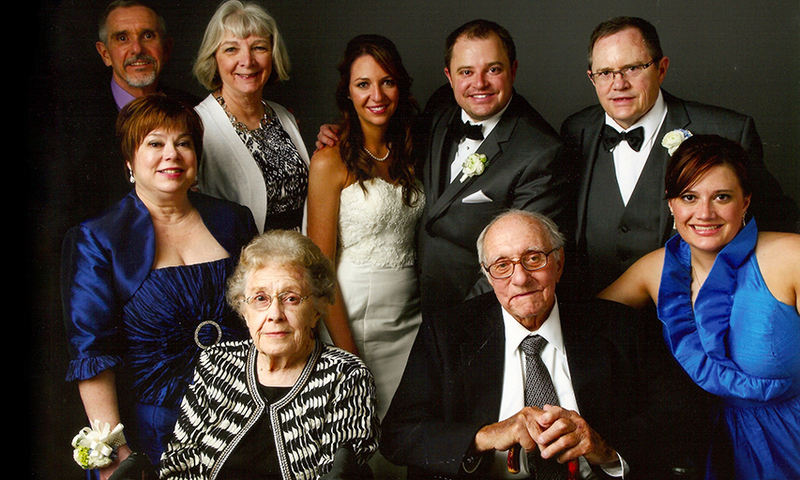 Rita and David Nelson with their family. The Nelson's $100 million endowment fund will support Fox Valley region charities for decades to come. The couple chose to open a Donor Advised Fund at CFFVR instead of starting their own foundation, which means their family will have the same opportunity to give but with better tax treatment, fewer regulations and less cost. The $100 million will be endowed, providing $4.5 million in the first year and growing over time, ensuring the value of contributions 50 years from now are as strong as they are today. And importantly, when the family is no longer willing or able to advise those distributions, the gifts will be directed by CFFVR consistent with their wishes. Madison Community Foundation (MCF) has been extraordinarily fortunate to receive several gifts in excess of $10 million from living donors and through estate gifts. Businesswoman Marie Graber left MCF just over $15 million in 1991. In the past 27 years, her endowment, now known as the Community Impact Fund, has returned over $25 million to the community and is currently valued at $17.5 million. Marie’s fund has been a consistent resource to the community through good stock markets and bad. She’s helped build everything from Monona Terrace to the splash parks and libraries throughout Dane County. She has started literacy programs, funded Concerts on the Square, leveraged federal money for bike trails and supported MCF’s 75th Anniversary Year of Giving grants. And she’s not done! Resources from the fund she created will impact our community for generations to come–doing things that she could never have imagined in her lifetime. 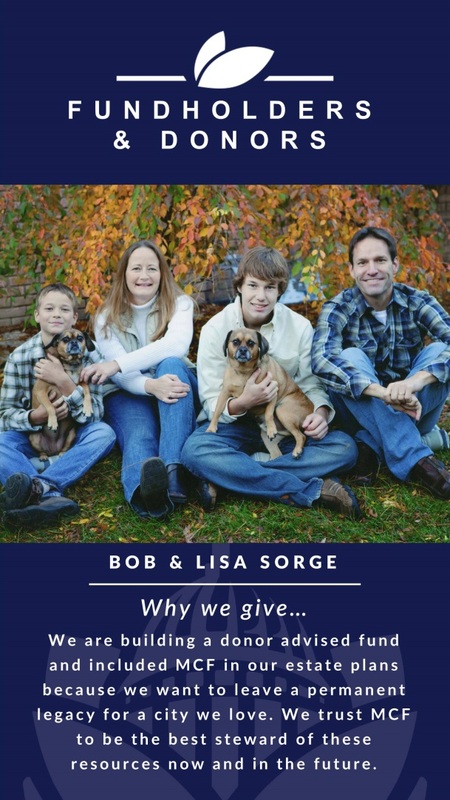 Bob and Lisa Sorge, pictured with their two children, are endowment fundholders at MCF. In an age of immediate gratification, the idea of investing in our community over time may not seem as exciting for some people. That’s okay, because our community needs resources today, too. But for someone like me, who likes to see the evidence, investing over time means that the dollars I have to share will be used innovatively as we learn to do things better. My wife and I are endowment fundholders and Legacy Society members. The dollars our fund yields will support several nonprofits, as well as MCF’s Community Impact grantmaking, which supports our community as it changes and evolves. Those dollars will help launch programs and projects, and support them as they mature and grow to scale. And they’ll be there to support the next opportunity when the current one is obsolete. I love that. Endowments empower experts and innovators in the nonprofit sector to focus on what they do best rather than get distracted by how they’ll make ends meet—and yes, that rocks!